Marizanne Kapp continues to impress with the ball in the Women’s BBL, not by taking wickets but by with a strangling economy rate of 5.8 after three games. 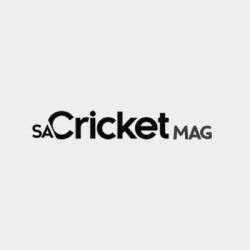 The two took a wicket apiece in the big Sydney derby as the Sixers restricted the Thunder to 142-6 and won by six wickets, with Van Niekerk taking the team across the line with 11 off 11. Kapp followed that by conceding just 16 runs from her four overs against Perth Scorchers, while Van Niekerk was 0-16 off two overs. Both were run out as Sixers were held to 122-8, losing by nine wickets. Proteas opener Lizelle Lee maintained her early batting form for Melbourne Stars, but her efforts were in vain against Sydney Thunder. 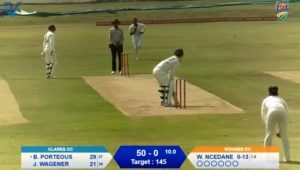 Lee contributed 31 off 25 balls to an opening stand of 40, but there was little support down the order as Stars were bowled out for 114 and lost by eights wickets. Lee had opened her campaign with an aggressive 64, again in a losing cause as Stars tried to chase the Sixers’ record 242-6 in the opening round of the competition.